A goal for many people who pick up vaping in favor of traditional cigarettes is to completely quit smoking altogether. In order to do so without going cold turkey, is cutting down your nicotine consumption, and with vaping you can cut down if you desire. 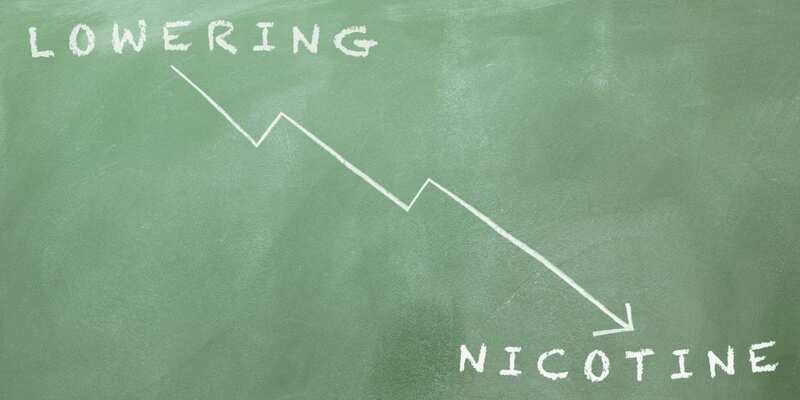 Cutting down on nicotine consumption is something that many vapers want to do so they have the least harmful method of inhaling something into their lungs. 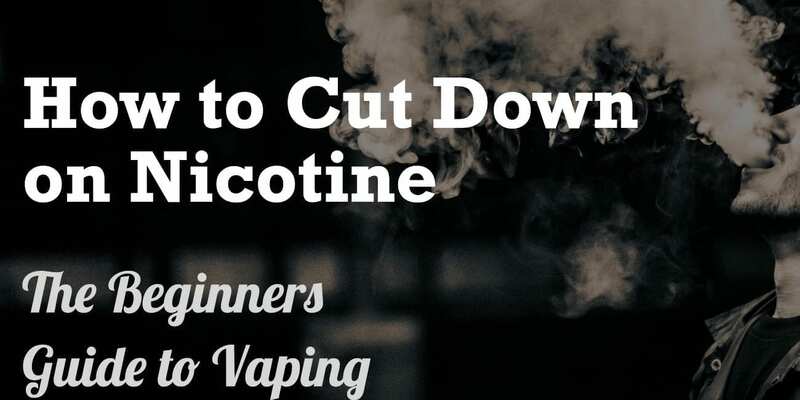 In this article, we will be going over our preferred methods how to cut down on nicotine while vaping. What we do recommend here at VapingCheap, is that if someone wants to cut down on their current nicotine levels in their e-liquid is to do it gradually. If someone wants to cut down on their nicotine consumption, dropping from say a 12 to a 3 is extremely difficult since that is a major difference. One thing we do recommend is that if you find an e-liquid you like, you can always buy 2 different nicotine levels, and mix them to create a lower nicotine strength. Even though many people dislike this method, it can work for some people and overall help them cut down. Another method that we find the most useful is when purchasing e-liquid, buy your normal nicotine strength you prefer, but also buy lower nicotine strengths as well. When you vape, try to vape the normal strength sometimes during the day, and then switch to the lower nicotine strength and see how you feel. After you continuously do this process, you can eventually start preferring the lower nicotine strength, as you vape it more and more. In addition, another thing to consider there are many companies who make e-liquid, and can customize the nicotine strength for you! So if you want to gradually cut down on nicotine, these companies may customize an e-liquid with a nicotine strength of 2mg, which would be great for someone stepping down from 3mg. I think this is another great source to consider when cutting down on nicotine while vaping. Also, for people who vape much higher nicotine strengths, this would be great as well since many premium companies do not offer 9mg, and dropping from 12mg to 6mg may seem to big of a leap when first trying to cut down on the nicotine strength. You can continue to do this process until you eventually reach zero nicotine. Then after, you may not feel any need whatsoever to vape any longer and can eventually give up smoking/vaping altogether. This is the process that we primarily recommend here at VapingCheap, as this is the process I personally have gone through to cut down on my nicotine consumption, and strength. You may find yourself vaping more with lower nicotine strengths, but give it time for you to adjust, and I am sure you will cut down overall. In conclusion, some of you may have different methods that you use to cut down on your nicotine strength and consumption, and we would love to hear about it! So if you have something to recommend to vapers who want to cut down, feel free to drop us a comment below! What may work for us may not work for everyone, so it would be great to share what have worked for others! Overall, I do recommend vapers who want to cut down on nicotine while vaping is to do it gradually, as if you go too far down in nicotine strength you will eventually find yourself vaping more, or just going back to nicotine strength you were vaping beforehand. Lastly, vaping is a great tool to quit smoking altogether, and with the right method you can surely cut down if you desire! If this is something that you want to do, I hope you found this article informative and helpful! thank you for your article. I have been vaping a year now and have cut down from 24mg to 3 mg now. I noticed some companies do not offer anything less than a three and I don’t think I am quite ready to jump to zero. mixing strengths was something I was considering. I was wondering something though, I am subohming with a Herakles v1 on a cool fire 4 plus, am I actually getting more nicotine by higher watts?